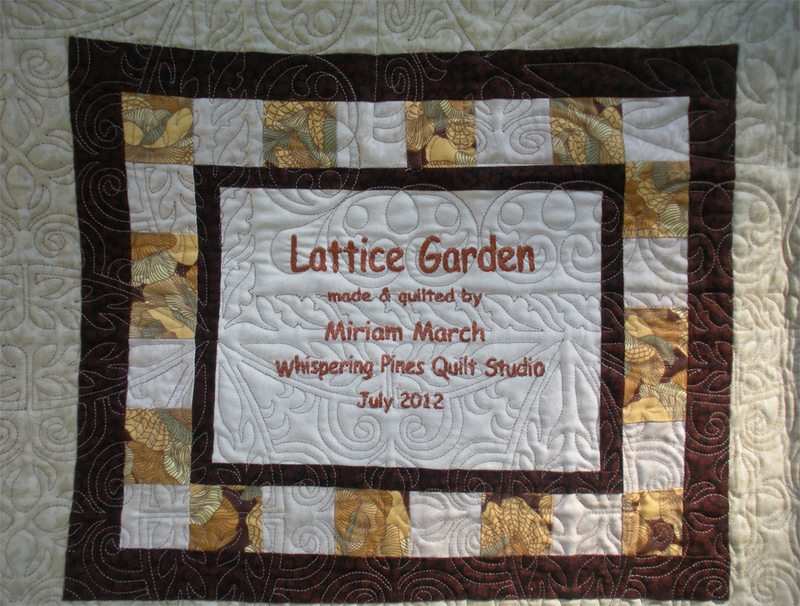 This printable brochure includes instructions for preparing your quilt top for quilting. 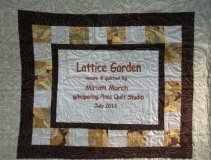 When time permits, I offer occasional quilting classes. Subjects change over time. 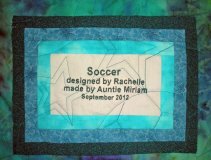 Most recently I’ve taught Fused Portraits and General Beginner Quilting (which covers quilting basics, including both piecing and machine quilting). If you are looking for a class I don’t offer, I can likely refer you to someone who does offer it. 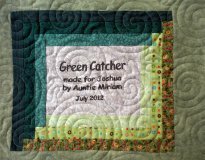 I have also recently introduced a new product: custom embroidered quilt labels, examples of which are shown below (click to enlarge). 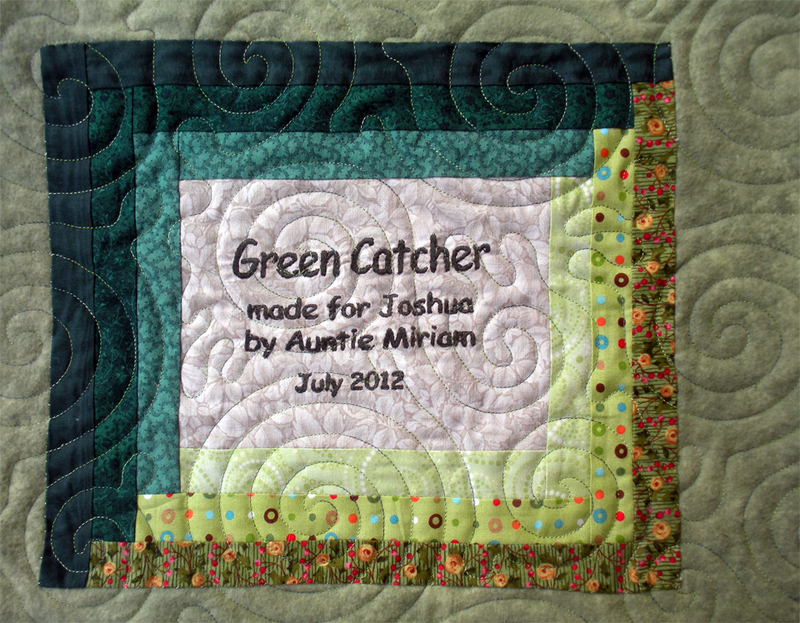 Although these labels can be added to a quilt at any time, I recommend having them quilted right into the quilt. 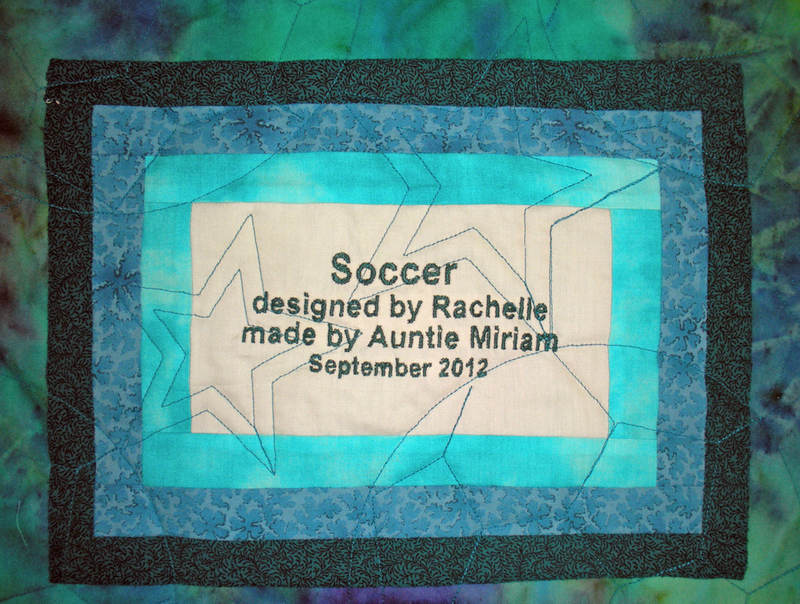 This way the label acts like a permanent “signature” to your quilt.